Samsung is rumored to launch a new Android Go smartphone under the Galaxy A series. Just yesterday, we have seen the smartphone with the model number SM-A260F getting Wi-Fi certification. 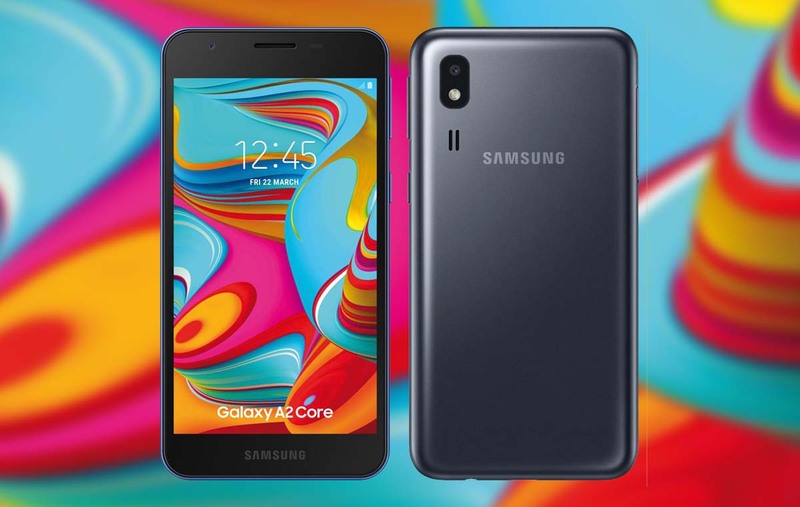 Now, the renowned leakster Evan Blass has shared the press renders of the Samsung Galaxy A2 Core which comes with the model number SM-A260F. Last year, Samsung launched the Galaxy J2 Core as its first Android Go smartphone. Now, the Samsung Galaxy A2 Core could be the successor to last year’s Galaxy J2 Core. As said earlier, the company has revamped its strategy for its budget lineup and introduce new smartphones under the Galaxy M and Galaxy A series. While the Galaxy M series devices will be sold online, the Galaxy A series will be limited to the offline market. Now, the upcoming Galaxy A2 Core will also be sold via offline stores. The Galaxy J2 Core was launched for Rs 5,990 and comes in Blue, Black, and Gold color options. As of now, the new Galaxy A2 Core is unofficially confirmed to launch in Black and Blue colors. The Wi-Fi certification page revealed the Galaxy A2 Core to come with Android 8.1 Oreo out of the box. Since Google already released the Android 9.0 Pie Go Edition, we hope the company launches the Galaxy A2 Core with the latest Go Edition OS. Talking about the design, the smartphone comes with a polycarbonate body. It sports single camera on the rear along with LED flash and a loudspeaker. On the front, the Galaxy A2 Core sports 16:9 display, earpiece, and selfie camera. We can also spot the Samsung logo on the front and rear. As seen on the Galaxy J2 Core, the fingerprint scanner is also missing on the Galaxy A2 Core. Both the power button and volume rocker are placed on the right side. The 3.5mm audio jack and charging port can be spotted on the bottom edge. It should be offering basic connectivity options like 4G VoLTE along with a MicroSD card slot for storage expansion. As of now, we have no idea about the pricing or the availability of the Samsung Galaxy A2 Core smartphone.